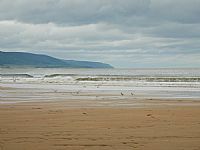 There is a small but excellent Scottish Natural Heritage introductory guide to Caithness and Sutherland's geology, wild animals/plants and access, together with forty-six recommended sites (with a map of their locations), available here. The extremely detailed (1,144 pages) Botanical Society of Britain & Ireland (BSBI) 'Wild Plants of Vice County 107 - East Sutherland' is available for download here. This brilliant pdf document gives lots of photographs, dates and Ordnance Survey map references to aid the serious botanist wanting to find and admire the many rare (and not so rare) beautiful wild flowers that grow in the Brora area. Please remember that many of the plants listed in this frequently updated publication are growing on private land and are very easily harmed: 'Please take only photographs and leave only (and as few as possible) footprints'. 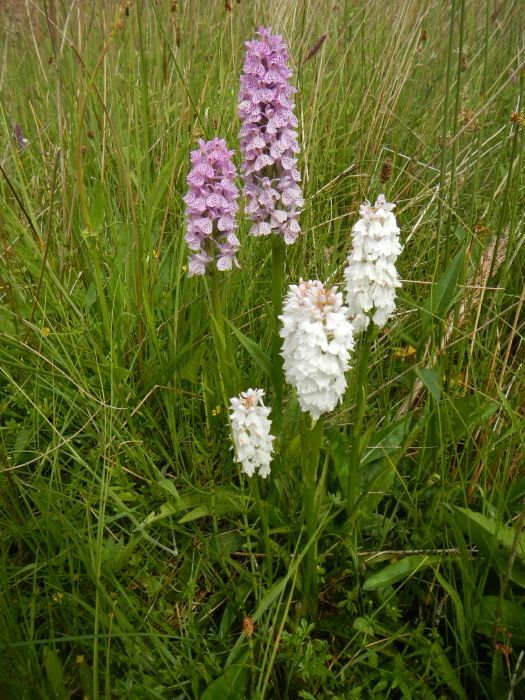 Relatively common Heath Spotted Orchids in Strath Brora. 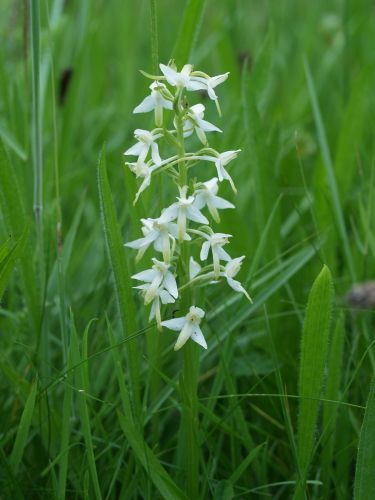 A nationally rare, locally not so rare, Lesser Butterfly Orchid in Strath Brora. 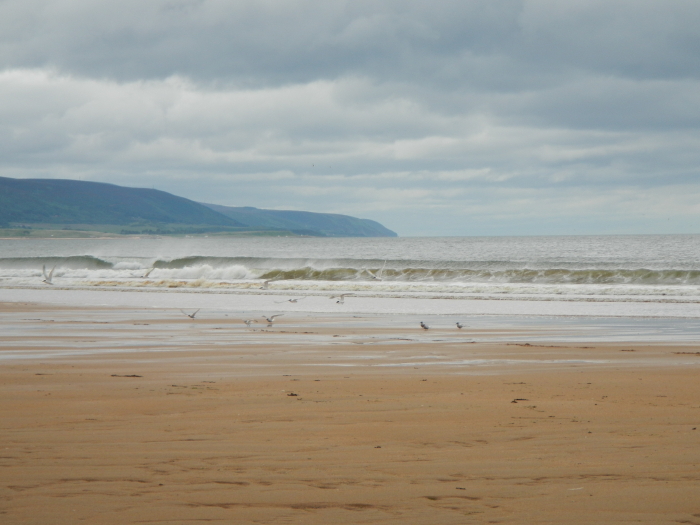 A flock of Sanwich Terns on Brora Beach.